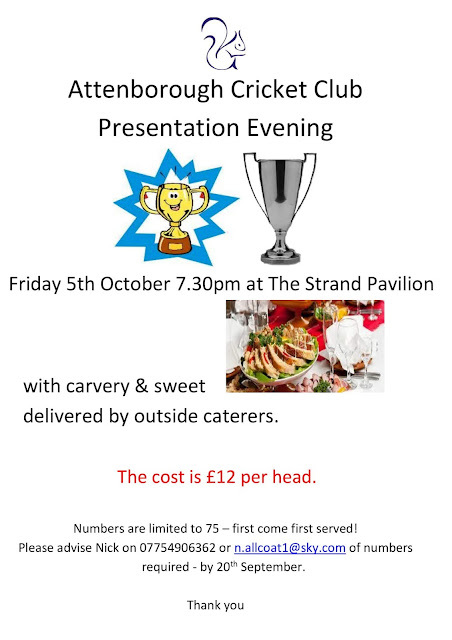 Our annual Presentation evening is to be held on Friday 5th October, 7.30pm at The Pavilion, where we can celebrate our 2018 season. It will be great to see as many players (including those juniors who have played senior cricket and their families) and supporters attend the evening as possible. Please let Nick know by 20th September (mobile 07754 906362 or email n.allcoat1@sky.com) to reserve your meal(s). Looking forward to seeing you on the evening.